Star Trek: Into Darkness hits theaters today, and depending on how you count, it’s the 12th film in the Star Trek cinematic franchise. That’s not counting the books, the comics, the cartoon, the five television series and more merchandise than you could fit into your house. The 12th movie. It’s the second directed by J.J. Abrams, who cut his teeth writing for and directing Lost and Alias before taking up the Star Trek mantle with the 2009 “alternate timeline” franchise reboot. 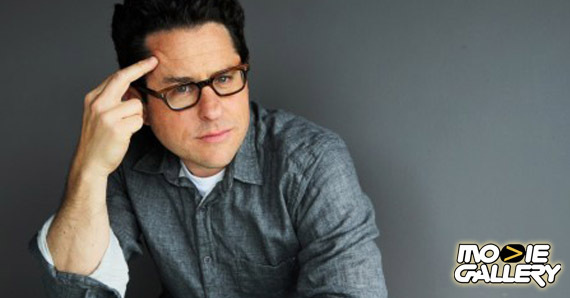 With that movie, Abrams did the seemingly impossible — he pleased the nerds. The movie wasn’t a perfect recreation — ah, to go back in time and kidnap Shatner — but it stayed true to what people loved about the original characters and gave a new interpretation of the much-loved personalities of the Enterprise crew. Also, there were explosions in space and a ship getting sucked into a black hole! Last year, it was announced that George Lucas was selling the vaunted Star Wars franchise — not nearly as expansive as Star Trek (yet), but no small potatoes either — to Disney, and it came out that Abrams would direct the next movie, Episode VII, for release in 2015. There is no fight bigger among sci-fi geeks than Star Trek vs. Star Wars, and while we all know Trek reigns supreme — it was there a decade earlier, with more complex characters and stories, better acting and space-hotties — it’s now up to Abrams to bring these two universes to a new generation of fans. It’s an awful lot of responsibility to put on one director. We’ll see if Abrams is up to it. In the meantime, a third film in the new Star Trek series has already been announced and Star Trek: Into Darkness is looking like it’ll be even bigger than the 2009 one, so why shouldn’t he do the same for Star Wars? Star Trek: Into Darkness is in Theaters Now! This entry was posted in Previews, The MG Blog and tagged jj abrams, star trek, star trek into darkness, star trek into darkness trailer by summerm. Bookmark the permalink.